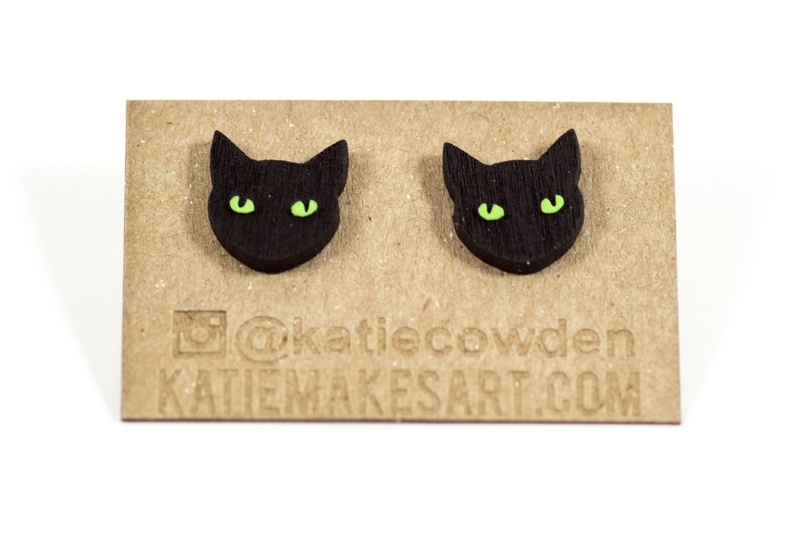 .5��_��__��_ wide wooden laser cut cat faces, painted black and with matte green eyes. Stainless steel stud securely adhered to back. 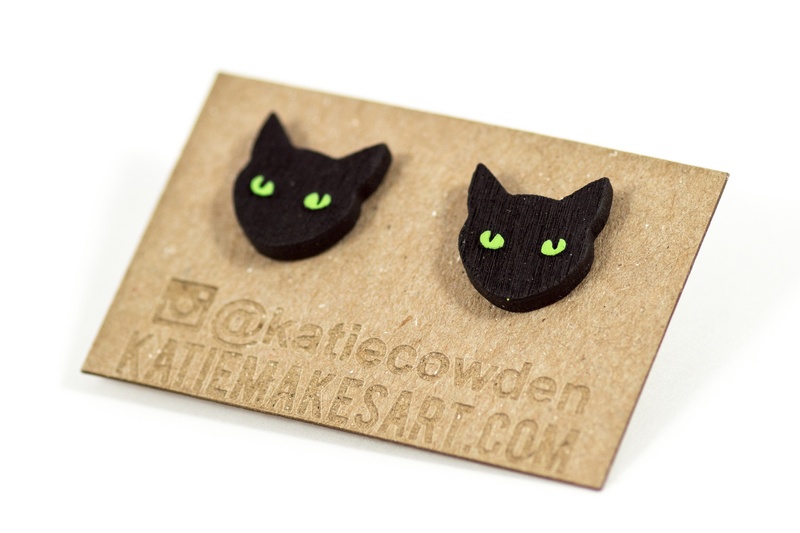 ��_��__��_��__Katie just celebrated her 5th year anniversary being a full time artist in 2018!